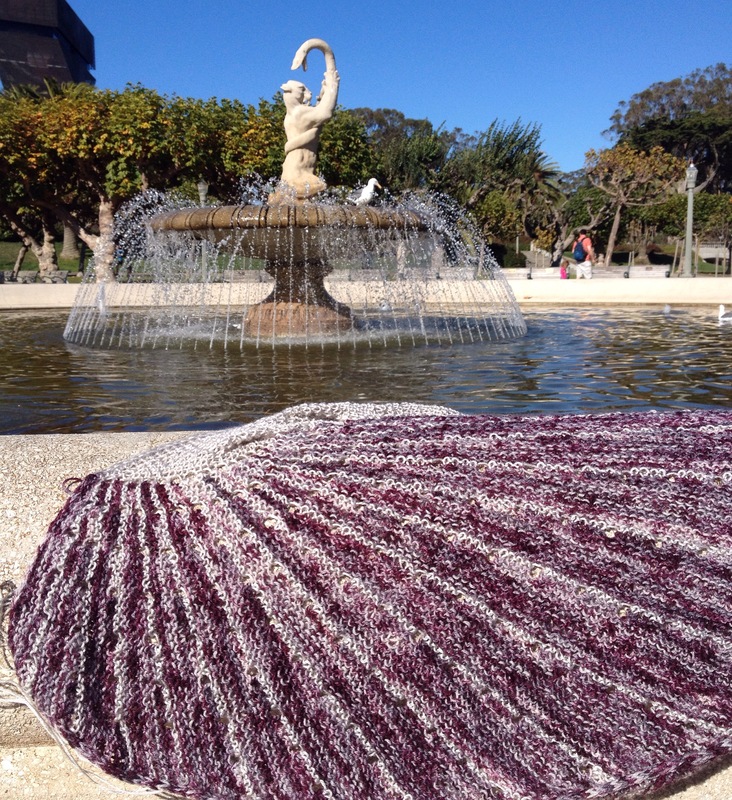 Clue 2 has arrived and in true WestKnits fashion, it’s got me guessing still!! It’s huge garter stitch cables and the last instruction is bind off all sts. ??? But where will the next two clues go? It’s still a mystery for week 3! I love it! 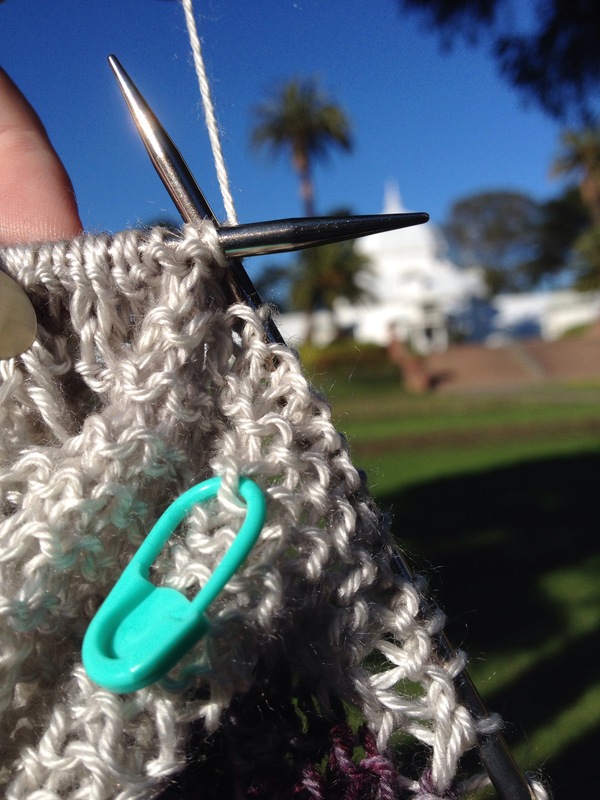 Today’s knitting field trip…Golden Gate Park! This could be anything, right? Not necessarily a shawl? It does rather look like half a butterfly. 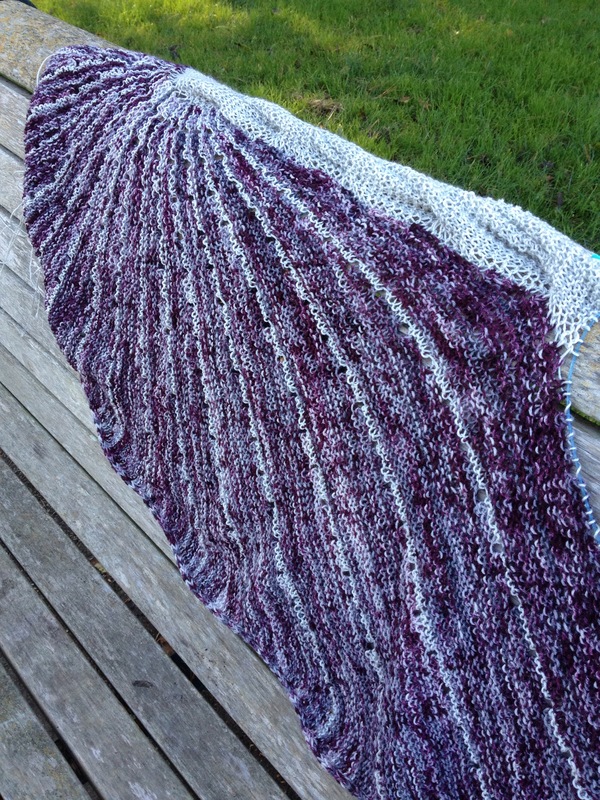 On the other hand, I bet he was dared to make a shawl that had crazy elements like a garter cable. Not unlike a dare my husband got to make a chocolate mint beer (which was tasty, by the way). Lastly, I wish I had found your blog sooner. It would have been fun to meet you when I was in SF back in the Spring. It’s kind of funny to think of it as a crazy dare. Bet we can’t get 3000 people to do ___________! 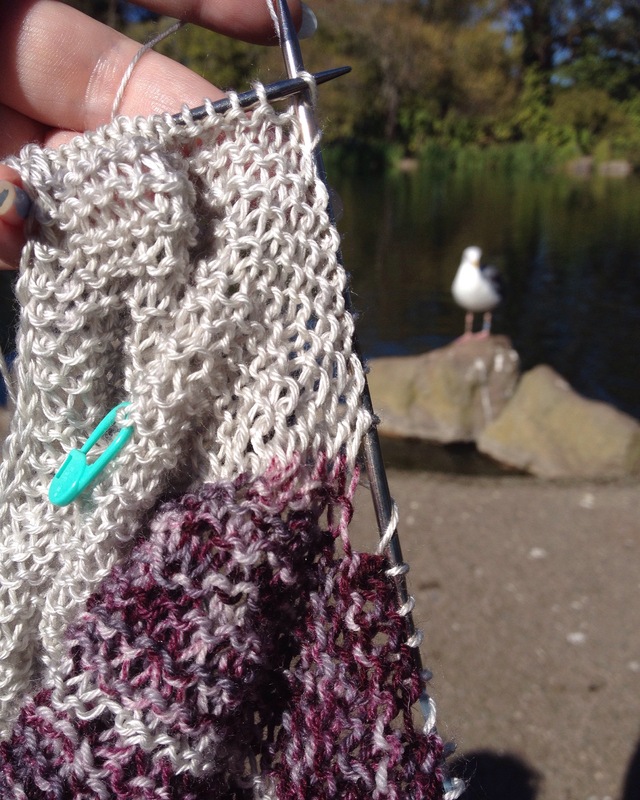 Love how your garter cable is looking! 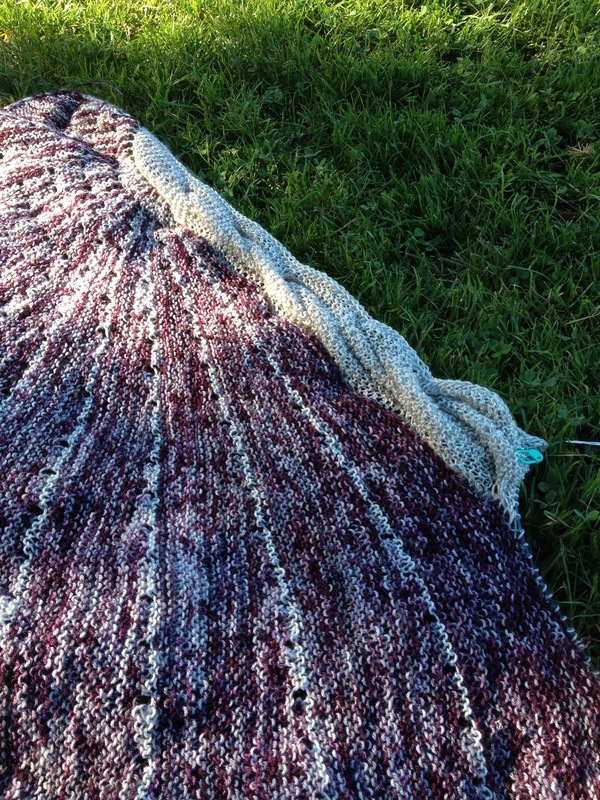 I’m about halfway through wedge 15, and feeling excited/mildly daunted by the thought of soon knitting my first ever cables! Cables are a snap! They’ve very literal, so you’ll be even more excited when you have the ‘that’s it?’ moment with cables! I’m still pretty stumped, especially because we’re limited in colors, we’ll have only our third color left by the time we get that point.